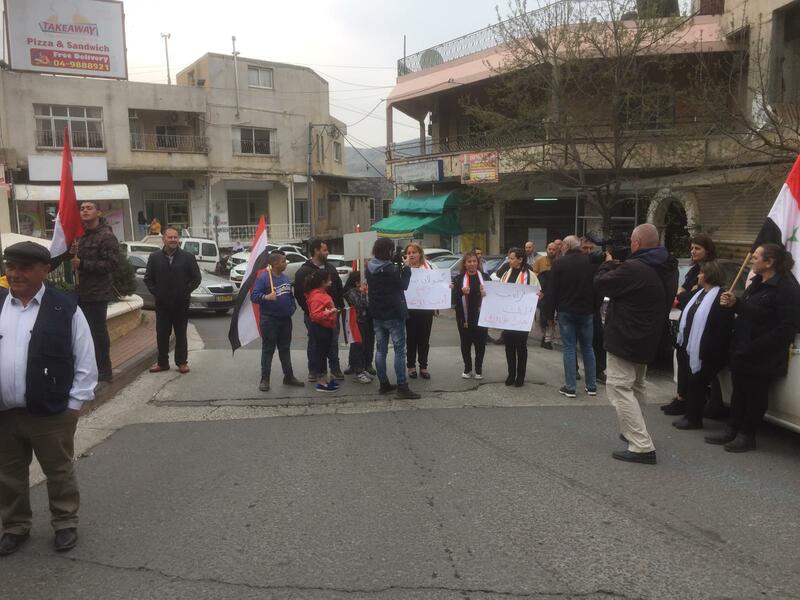 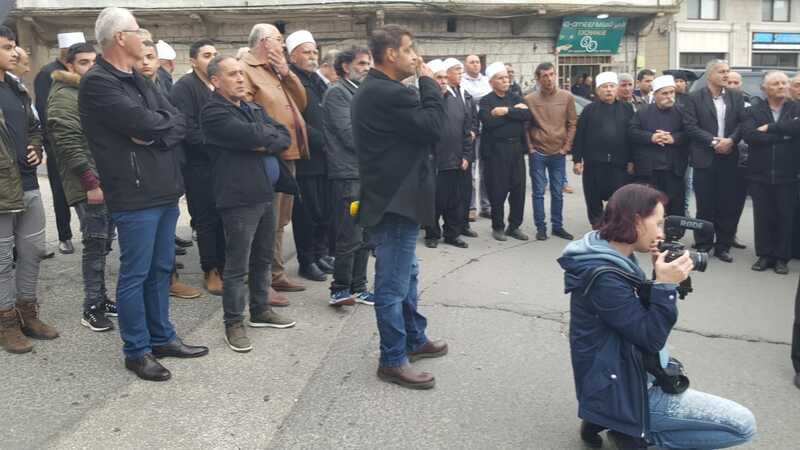 The people of the occupied Syrian Golan organized on Saturday evening a protest in the square of Majdal Chams to denounce the statements of US President Donald Trump about the occupied Syrian Golan. 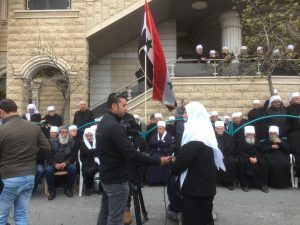 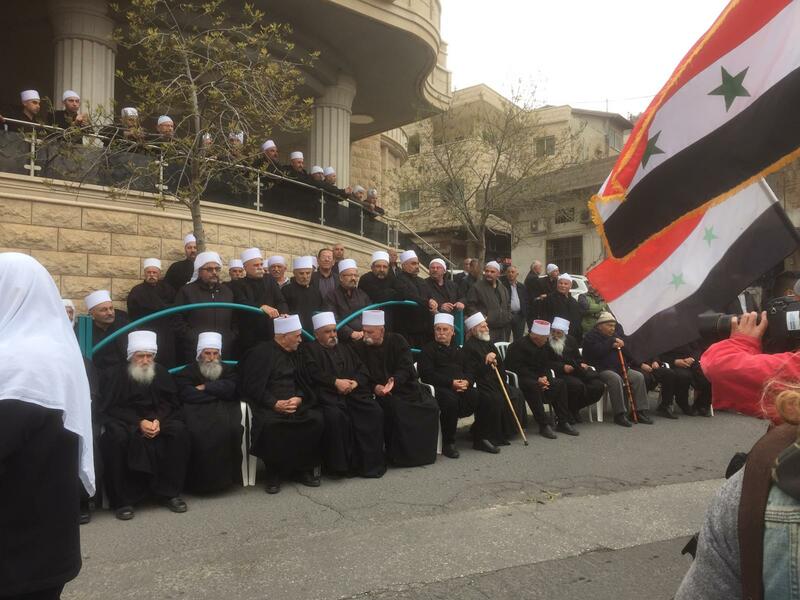 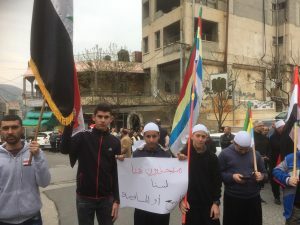 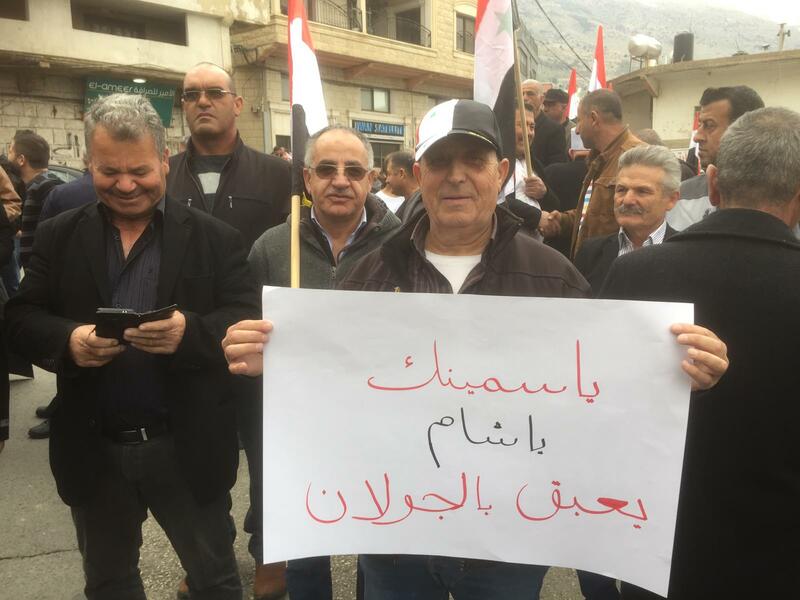 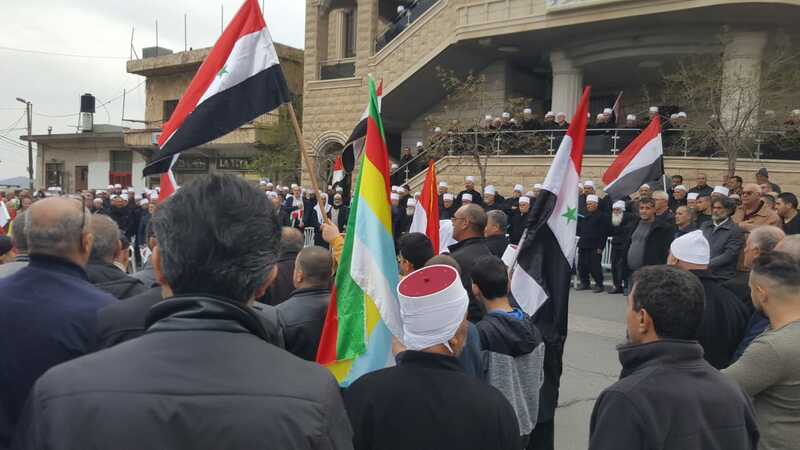 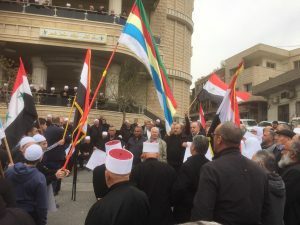 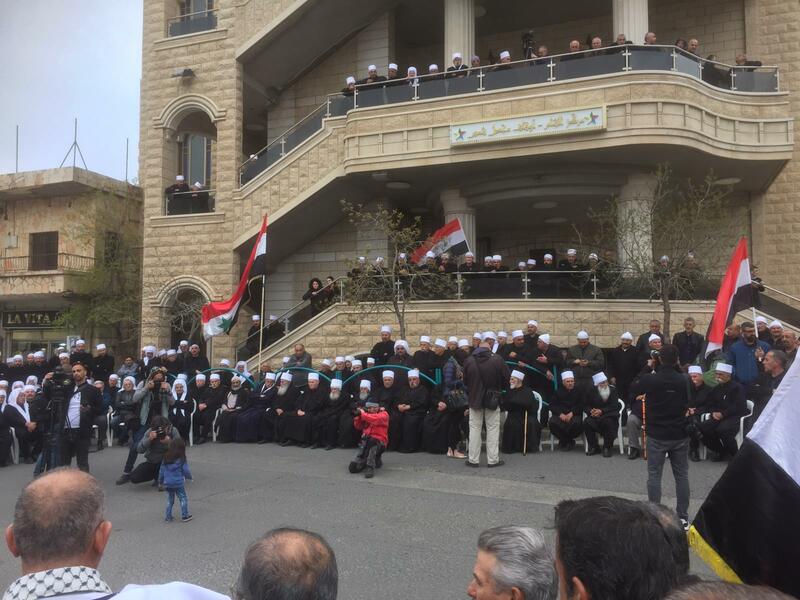 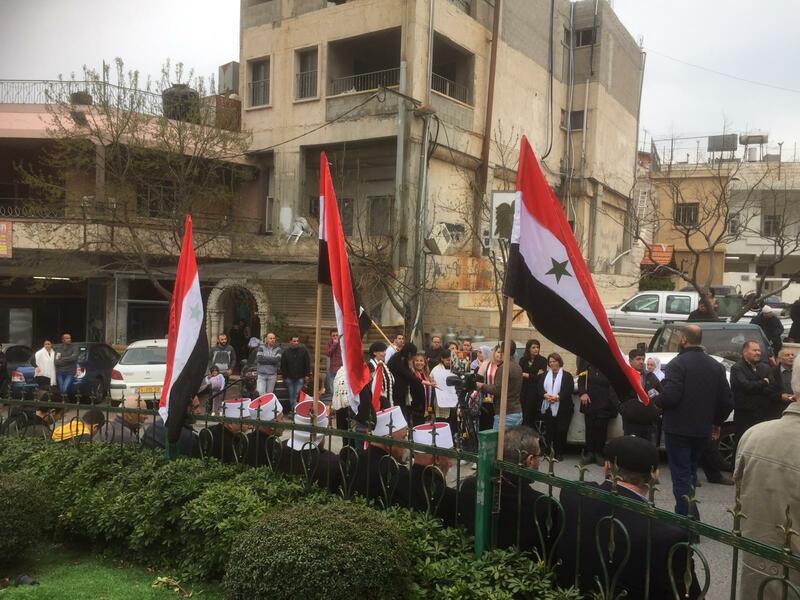 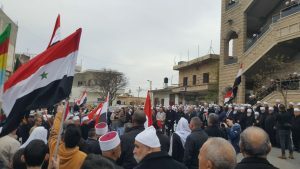 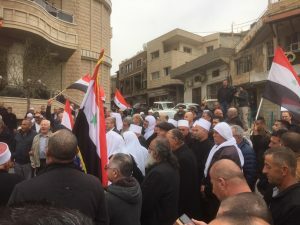 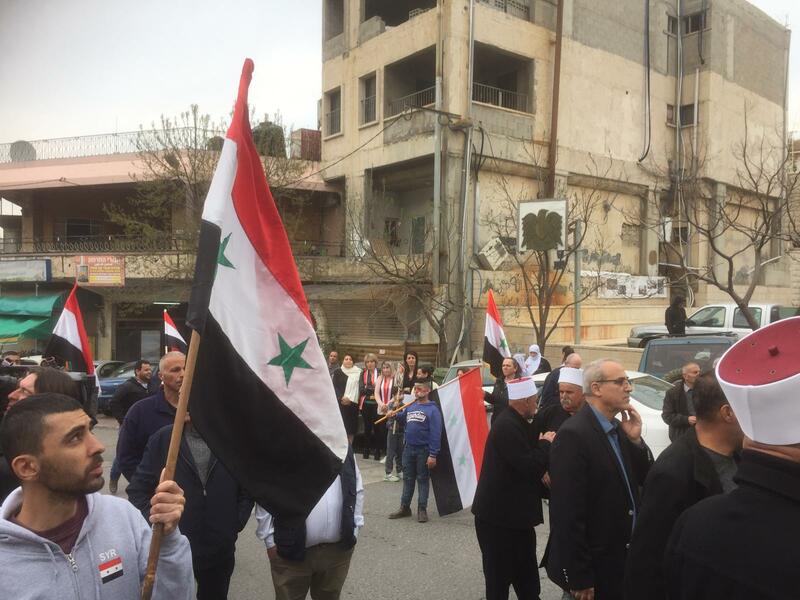 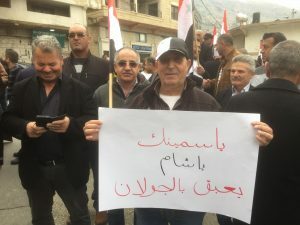 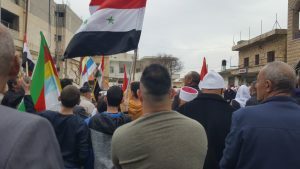 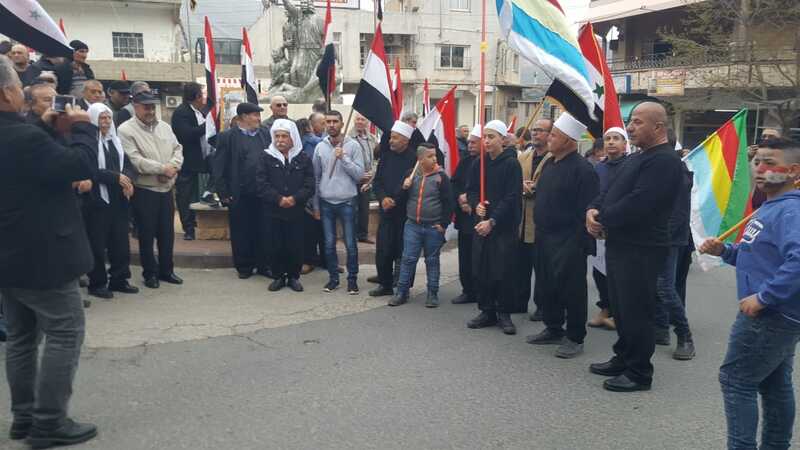 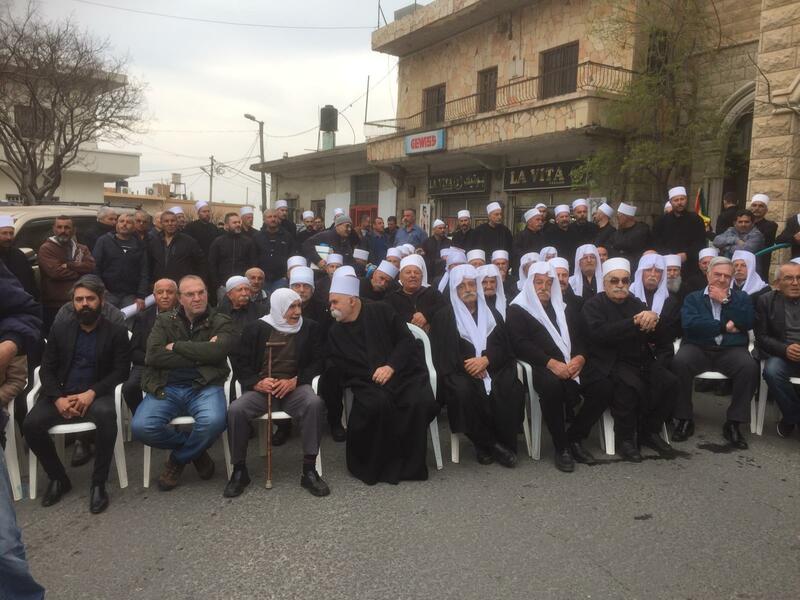 The participants in the protest affirmed their commitment to their homeland Syria, asserting that the Golan will return to Syria’s sovereignty. They denounced the hostile positions of Trump and members of his administration, saying they lack any moral or legal basis and violate international legitimacy. 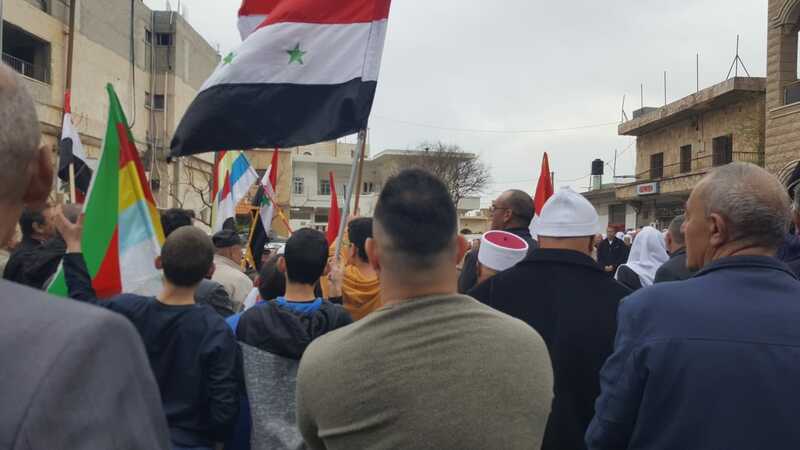 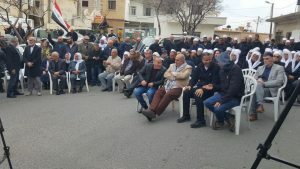 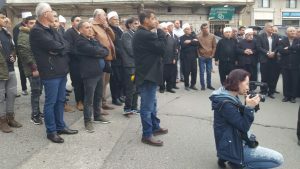 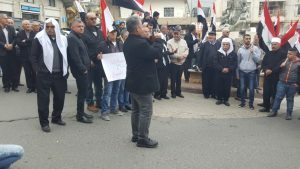 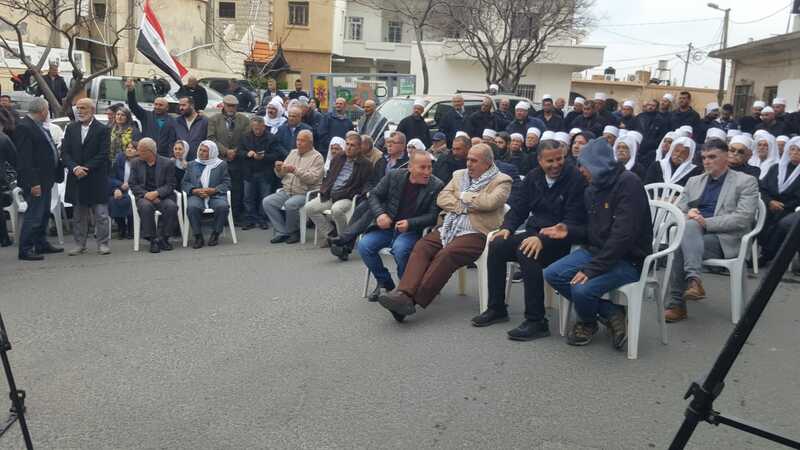 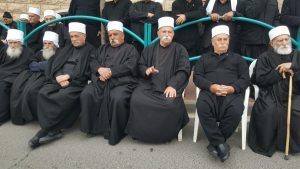 In the same context, a protest was organized by public and civil activities in Quneitra province in Ein al-Tineh area opposite the occupied town of Majdal Chams to denounce Trump’s statement and voice support for the people of Golan. 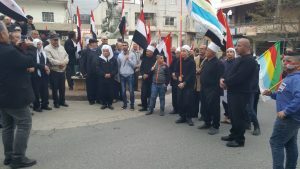 The participants affirmed that the Syrian people are determined to liberaye the entirety of the Golan.